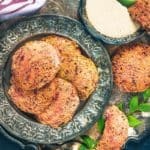 This Beetroot Oats Idli packs the goodness of Beet root and Oats and is super easy to make for breakfast. You can pack it for your kids lunch box too. Here is a video instructions to make Healthy Instant Beetroot Oats Idli Recipe. We’re all on the lookout for delicious and interesting breakfast recipes that will help brighten our day and make it a meal to look forward to everyday. 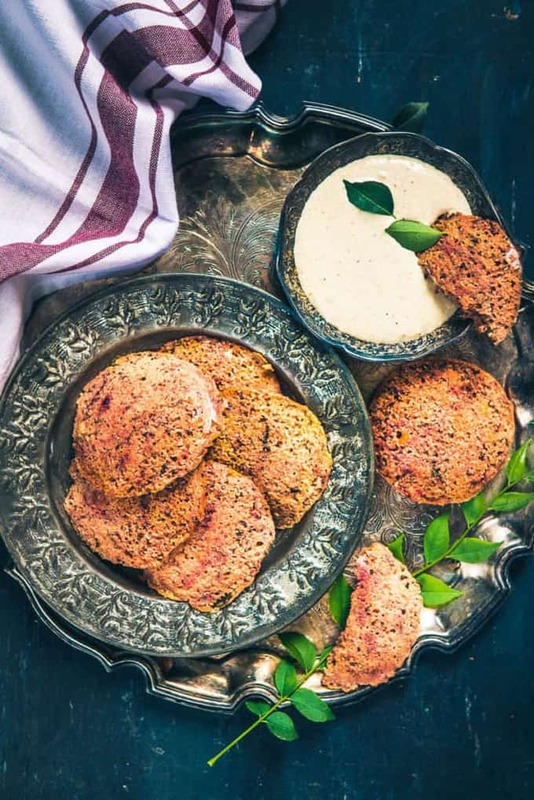 This Healthy Instant Beetroot Oats Idli Recipe is the perfect one to start your day on a healthy note, with the goodness of oats and the beautiful hue of beetroot; this is one recipe that you must try, especially if you’re bored of the regular breakfast fare. Beetroot is a brilliant vegetable to include in your diet as it is high in potassium and other essential minerals and vitamins that help in the proper functioning of the body. Some of the other recipes you could make using this bulbous root vegetable are: Roasted Beetroot Raita, Beetroot Halwa, Beetroot Poriyal, Beet Hummus, Beetroot Pachadi and an innovative Chukandar Chaas. To make this Healthy Instant Beetroot Oats Idli Recipe, first dry roast oats till lightly toasted and then powder it. You will also need to dry roast some semolina or rava and keep it aside. Let the roasted oats and semolina cool. Then mix the powdered oats and semolina with curd, salt and water to make a medium consistency batter. Next for tempering, heat oil in a pan and when the oil becomes hot, add in mustard seeds and urad dal. Once the mustard seeds splutter and urad dal turns brown, add cashew nuts and curry leaves. Then the grated beetroot is added and sautéed for a minute. The tempura is poured over the batter and mixed well. It’s kept aside for a few minutes. You can adjust the consistency of the water and if the batter has absorbed the water, then you can add a little more water. Then the steamer is heated and the moulds are greased with oil, then fruit salt or ENO is added and mixed lightly with a spoon. Finally the batter is poured over the moulds, it’s only filled to the three-forth level in order to give way for the idlis to rise on steaming. The batter is then steamed until a toothpick comes out clean. It’s best served with a delicious Coconut Chutney, Curry Leaves Coconut Chutney, Red Chilli Coconut Chutney, Onion Tomato Chutney or Sweet Tomato Chutney. This idli recipe is packed with nutrients and the lovely purple colour is sure to get the kids really excited. It’s the perfect lunch tiffin option for the kids as well, they are going to love the look of this new and interesting, yet incredibly simple dish. This Beetroot Oats Idli packs the goodness of Beet root and Oats and is super easy to make for breakfast. You can pack it for your kids lunch box too. Dry roast oats till slightly browned and powder it. Dry roast semolina and keep it aside. Let both of them cool. Mix powdered oats and semolina with curd, salt and enough water to make a medium consistency batter. For tempering, heat oil in a pan. When oil becomes hot, add mustard seeds and urad dal. Let the mustard splutter and urad dal turn brown. Add cashew nuts and fry until light brown. Add grated beetroot and saute it for one minute. Pour the tempering over the batter and mix well. Keep the batter aside for 5-10 mins. If the batter has absorbed water, then adjust the consistency of the batter. Grease idli moulds with oil. Add fruit salt in the batter and mix lightly with spoon. Pour the batter in moulds till 3/4 only as idlies will rise after steaming. Steam for 10-15 mins till toothpick inserted comes out clean. Serve with coconut or tomato chutney. Cool kadai and great recipe. I only want new ideas to use oats. These looks like a must try! This would make such an amazing breakfast! Yes Pamela. We had it for breakfast and loved it.